Choose BLACK, BLUE, RED, WHITE, GREEN or Silver color end panels. 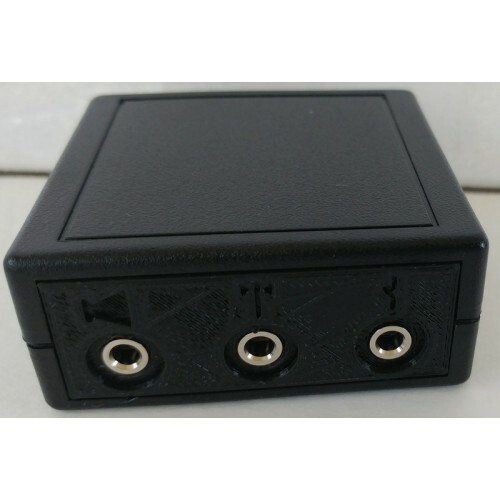 This keyer has all of the features of the latest PicoKeyer Plus - and plenty more! You get four buttons, one for each message for super easy message recording and playback. 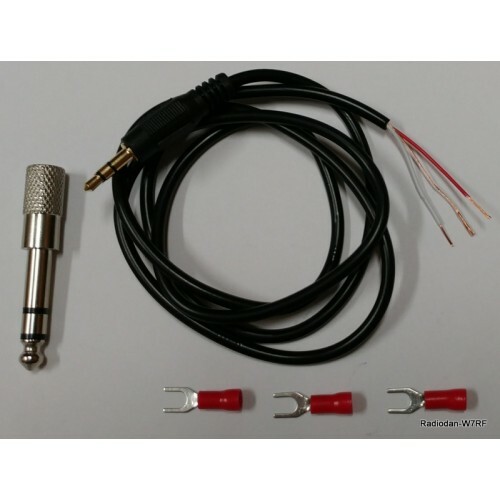 A built-in sidetone audio jack lets you plug in your ear buds, headphones, amplified speaker or just pipe the sidetone audio into your homebrew rig's audio section. I've also done a major overhaul on the setup menu -- you can now set up everything (other than recording messages) using just the front panel pushbuttons, without even plugging in a paddle! The new firmware builds on previous versions of the PicoKeyer with a number of new features. Of course the most obvious is instant access to all four messages with the touch of a dedicated button. Recording a message is now a lot simpler -- just hold down the button until you hear the prompt. Just like the buttons on your car stereo, and just like you'd expect them to work. There's also a completely new setup function. Use the front panel buttons like arrow keys (they're even marked on the panel) to scroll through menu settings and make changes as needed. And, if you want to switch between your paddle and straight key -- there's no need to remove the battery! A quick button press is all it takes. The Ultra PicoKeyer complete kit contains everything you need to build a stand-alone Morse code memory keyer and code practice oscillator with speed control. 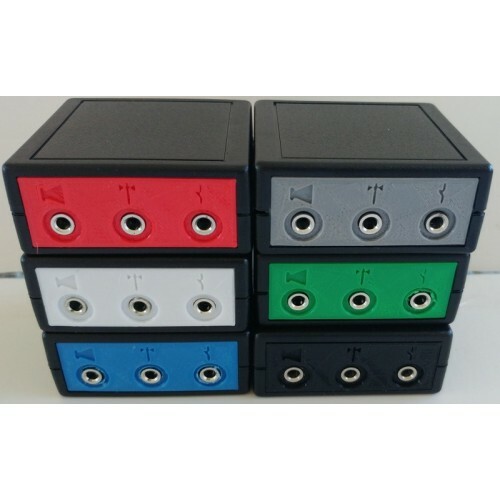 You can put it in the nice looking, pre-drilled plastic box (included), build it into your next homebrew rig, or even retrofit it into your favorite commercial rig! At just a touch over 2" x 2" you can stuff this little circuit board into some pretty tight spots. The latest PicoKeyer chip and all the parts you need are included, along with a high quality double-sided printed circuit board with plated-through holes and silkscreened component outlines. The pushbuttons and speed control are mounted on one end of the board, and the RIG, KEY and PHONES jacks are on the other. Code practice oscillator?? Yep! 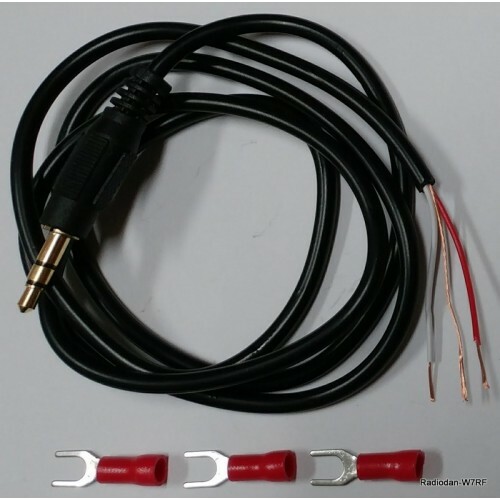 Since the Ultra PicoKeyer kit includes a small on-board speaker and a headphone jack, and works with single or dual lever paddles and straight keys, you can use yours as a code practice oscillator to learn and practice Morse code. Use it with a straight key, or learn to use a paddle or "squeeze" keyer if you want! You can even use "bug mode" to simulate a semi-automatic key and master this mode as well. If the on-board speaker isn't loud enough for a noisy environment you can always plug in a pair of ear buds or headphones. Or, you can even add an audio amp and larger speaker for group code practice sessions. A pair of inexpensice PC amplified speakers works great! NEW!! EIGHT message memories hold up to 127 characters each, and can be chained together in any order to make up to a 500 character message. Message #1 can be set to auto-start when power is applied, great for propagation beacons. Two new, 63-character MYCALL memories can be used in messages; one can be sent independently from the front panel buttons. Low parts count for quick, hassle-free assembly. Builders with some experience will find the average time to assemble is about 30 to 45 minutes. Figure an easy one evening of assembly even for beginners. Dual 2N7000 keying output MOSFETs for solid-state rigs and some tube gear, handles up to 60 V positive or negative. Ultra low power operation - A single lithium coin cell can last up to a couple of years depending on use. Dual Speed feature - Speed is adjustable from 5 to 60WPM from the menu. You can use the speed control pot to adjust from 5 to 63 WPM, and instantly revert to the stored speed at any time! MCW mode uses the keying output as PTT to send audio Morse code over voice radios - now you can practice Morse on the air with your friends using 2M or 70cm FM. Message pause - insert a pause to manually send RST or other information in the middle of a saved message. QSO/serial number can be inserted in a message, auto-incremented and decremented. You can set or reset the QSO number from the setup menu. Counts up to 65536, which should be enough for the biggest contests. Optional leading zeros can be sent for QSO numbers less than 3 digits. Cut numbers can be selected for QSO numbers in stored messages. Zeros, nines, both or neither can be selected. Transmitter QSK delay compensation - Lengthen elements by a preset number of milliseconds to correct for transmitters that tend to shorten dits and dahs in QSK mode. No battery required to retain settings or memory! 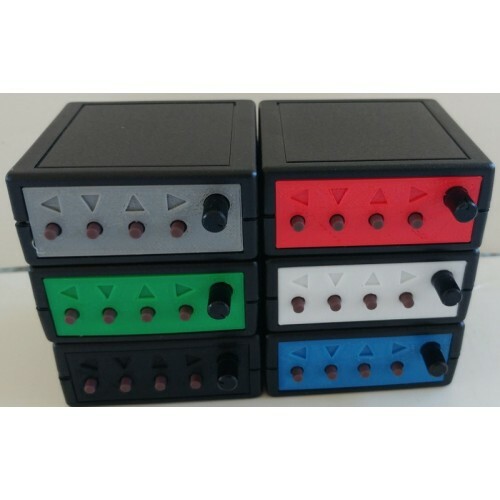 Easy to integrate into new homebrew or kit rigs, or add it to your older equipment. The PicoKeyer uses FLASH and EEPROM memory to store all settings and message memory, meaning NO backup batteries and NO lost settings. The Ultra PicoKeyer kit includes the pre-programmed and ready to use Ultra PicoKeyer chip, a high quality solder masked and silkscreened PCB, and all parts needed to build a complete keyer, AND a custom cabinet drilled and machined to fit the keyer. 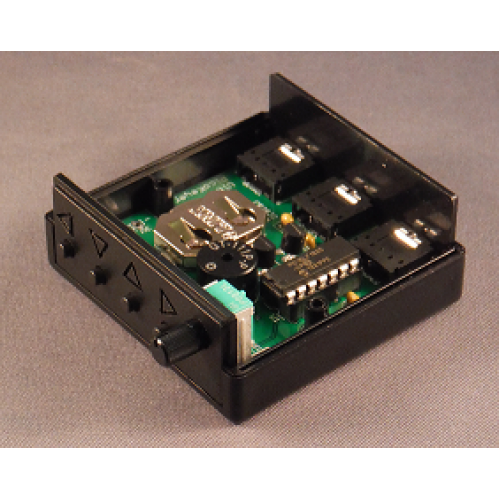 Once the simple assembly is finished, the keyer can be mounted in the included enclosure. Your kit carries a one year warranty. Documentation is available on the Downloads tab on this page. If you are interested in a group purchase or are buying kits for Scout troops, Amateur Radio clubs, schools or other clubs or groups, quantity discounts are available. All domestic orders of more than 10 kits will be upgraded to Priority Mail shipping at no additional cost (does not apply to DX orders, sorry!). Input from a single- or dual-lever paddle. Optionally a straight key can be used (please refer to the documentation). On-board CR232 Lithium coin cell. Optionally the builder may choose to supply power from an external DC power source up to 3.3V.